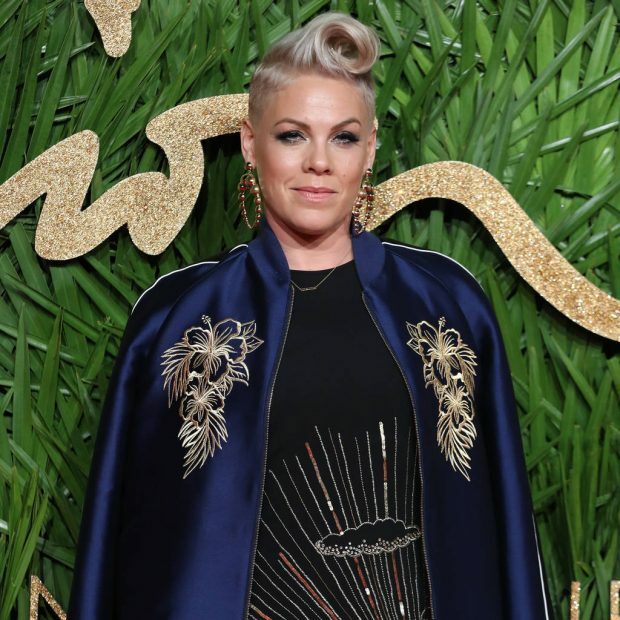 Pink has described bringing her children on tour with her as the "hardest thing" she's ever done. The So What singer made the decision to bring her daughter Willow, seven, and son Jameson, 18 months, on the road with her for her Beautiful Trauma World Tour, which kicked off in North America in March and is now underway in Australia. During a recent appearance on Reese Witherspoon's new unscripted TV series Shine On with Reese, the singer admitted it has been a lot of hard work having to look after the children while doing the tour, but she wouldn't have it any other way. "Going on tour with children is really tricky. It's exhausting," she said. "It's the hardest thing I've ever done but I'm very, very fortunate that I get to bring my kids with me and that I kind of get to integrate them into my life." In a car ride with Reese, Pink shared how Willow has learned so much while visiting various cities. She recalled how they went to The Memorial to the Murdered Jews of Europe, also known as the Holocaust Memorial, in Berlin, Germany – and how Willow came to the realisation that they are Jewish so it "could have been us". Willow later told the What About Us star that Berlin was her favourite city. "I said, 'Why?' and she said, 'Because there was a wall, and people were separated, and there was a war and people were killed. And now everybody's together and there's no more wall and there's no more war and that means that everything that's bad can be good again,'" she recalled. "In this six-year-old little voice and I'm just listening to her and I'm like, 'You're amazing and you're totally right. Everything that's bad can be good again.'" In the episode, Reese also revealed that her daughter Ava, 18, wrote the 38-year-old a letter when she was seven years old after listening to Stupid Girls, and they both complained about women pretending to be dumb. The Beautiful Trauma tour is set to conclude in May 2019.